The Guiding Light Pendant is your very own guardian angel, designed to look over you while you wear it. Made from .925 sterling silver and finished with genuine Italian gold, the elegant design of the Guiding Light Pendant will steer you in the right direction. 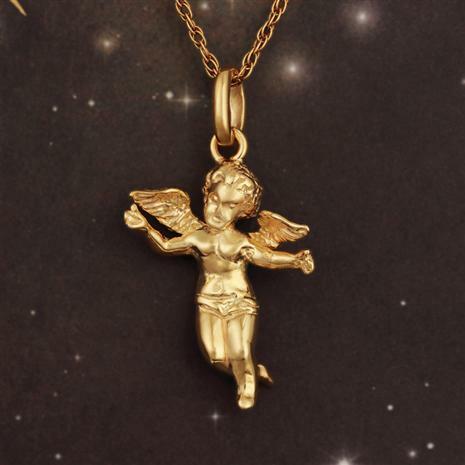 Priced a heavenly value, when you wear the Guiding Light Pendant you face every tough decision safe in the knowledge your guardian angel is right there. All you have to do is follow the signs.